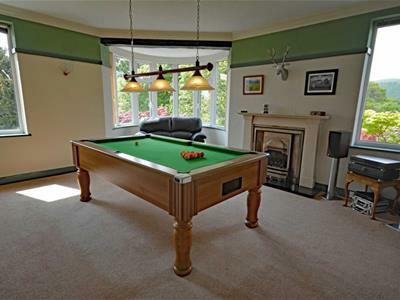 The property has a delightful approach with the elevated situation. 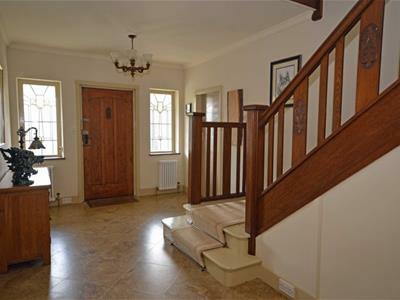 There is a traditional oak front door with ironmongery, affords access into the period 'Art Deco' entrance hall. Two column radiators and thermostats, four double power points and original style features such as coving, opaque leaded glazed feature windows and Amtico stone effect laminate flooring. The hallway provides access to the beautiful oak stairs. Double aspect window with UPVC double glazing with outlooks of the garden and open fields. 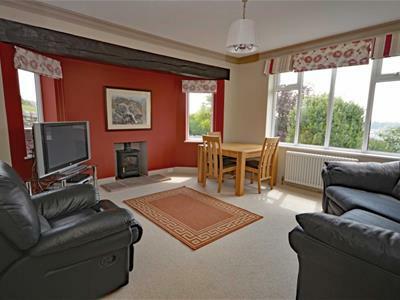 The central feature of the room is the Charnwood black cast multi fuel stove with glazed door recessed to the chimney breast with riven stone hearth. White column radiator and thermostat, three double power points and a TV aerial with a satellite feed. Good ceiling height of 2.60m and the decor is a tasteful shade of pastel apple green with coving in a shade of taupe and a feature wall of burnt red. Beam to the room/chimney recess. 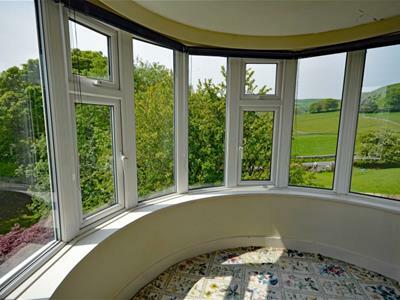 UPVC double glazed bay window and two further fixed windows with stunning outlooks. A central feature of the room is the open coals living flame gas fire with brushed steel surround, canopy, black granite hearth and outer polished limestone style surround. Five wall lights, column radiator and thermostat, three double power points, telephone point and TV aerial with satellite feed. This is a beautiful room reflecting the quality and the period 'Art Deco' style of the property. 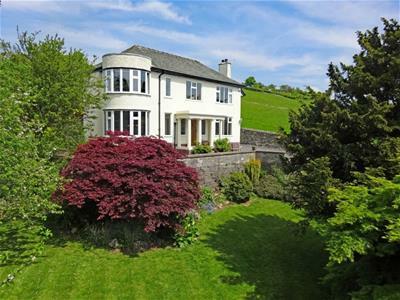 The room enjoys a good degree of natural light and privacy with garden aspects and also across the Valley and Flan Hill. 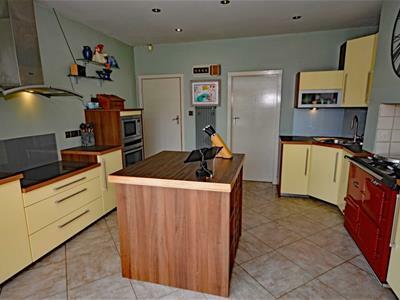 The kitchen has been fitted with a good range of modern, quality and attractive units in a shade of cream with brushed steel handles and walnut shaded work surfaces of a block pattern. All fitted appliances are to be included in the sale as follows: The Blanco inset sink unit with brushed steel taps and inset drainer, the Neff stainless canopy filter with hood, fan and light with a built in Neff microwave. Gas fired 'pillar box red' AGA with twin top plates and ovens. Neff electric oven that is fan assisted with a grill, light and timer and a Neff induction four ring electric hob. Neff integrated dishwasher. Acova steel tubular radiator, brushed steel power points, TV aerial and satellite feed and 10 ceiling lights. 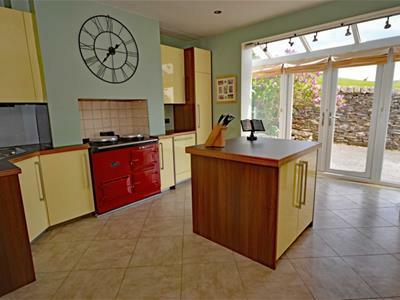 There is a central island unit with fitted internal drawers, wine rack etc. 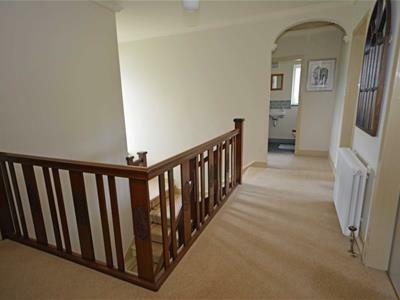 Space for a dining suite and separate doors leads to the entrance hall and utility room. Twin UPVC fully double glazed french doors to the side drive. UPVC double glazed sun lounge and french doors looking over the drive and open fields. Rear facing UPVC double glazed window looking to the garden. Units and work surface with stainless steel sunk unit with chrome mixer tap and grey vertical tubular radiator. Gas boiler within the cupboard with the hot water tank and immersion heater. Recess plumbing for a washing machine and space for a fridge/freezer. UPVC opaque double glazed window, wall shelving, cold slab, electric light and tiled flooring. With external door and access to the bathroom. Opaque UPVC double glazed window. This is a modern three piece Victorian style suite in white with chrome fitments and pastel blue/grey tiles with border. Low level WC with Vitra hand basin and pedestal. Shower glazed cubicle with thermostatic shower and flexi track spray. Extractor fan and white column radiator. Two UPVC opaque double glazed windows. This is a modern and attractive suite in a shade of permagon with gold plate effect fitments. Full tiling in a shade of cream with border. Low level 'P' shaped bath with glazed, curved screen and over bath shower with flexi track spray. Wash basin with pedestal and mixer tap and low level WC. Extractor fan, 8 halogen lights, panel radiator and thermostat. Oak traditional spindled staircase from the hallway to the first floor landing. Side facing UPVC double glazed window to the side off set seating area. 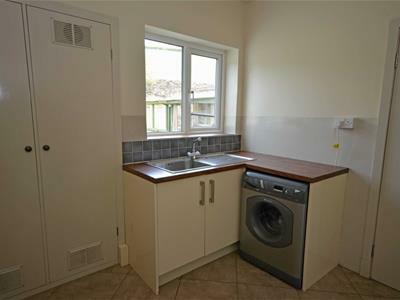 There is a white column radiator and thermostat, two double power points, smoke alarm and access to the insulated loft with ladders and boarding. 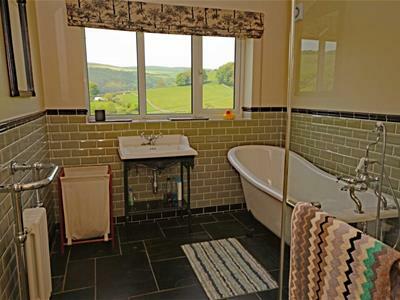 The landing is of over-stairs gallery effect with stunning rural views. Separate doors to the bedrooms, bathroom and cloaks. 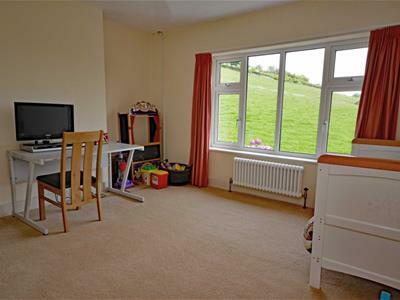 This is a stunning room with two UPVC double glazed windows to the front and side in addition to the bay window. 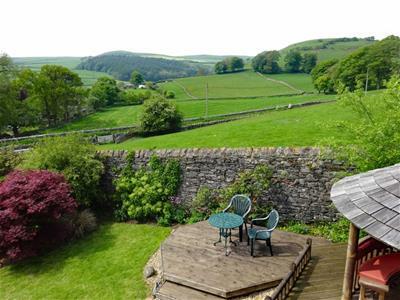 The views are spectacular over the town and with Birkrigg Common and Morecambe Bay in the distance, open countryside towards Flan and Kirkby Moor. White column radiator and thermostat, four double power points, two telephone points and a TV aerial socket. UPVC double glazed window with opening panes facing the front aspect with beautiful outlooks enhanced with the perimeter location and elevation. 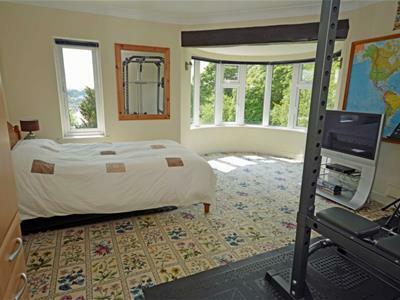 The bedroom has a white column radiator and thermostat, two double power points and a TV aerial socket. 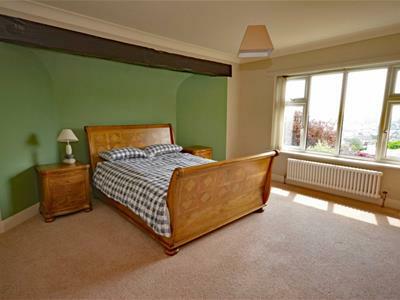 Good ceiling height of 2.50m with decor shades of pastel green, feature recess to the side wall and with the beam. Side aspect UPVC double glazed window with opening pane. 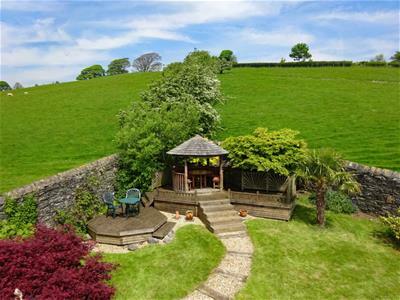 Stunning outlook over the open field to the side. There is a column radiator and thermostat, two double power points, TV aerial socket and decor of cream with coordinating carpeting. Another impressive room. UPVC double glazed window with opening pane facing the front with super outlooks. White column radiator and thermostat, two double power points and a telephone point. 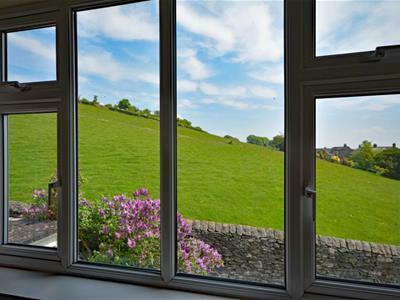 UPVC double glazed window with opening pane with super countryside views. This is a modern and superior three piece fitted suite in white with chrome fitments and olive green complementary tiling with black bevel brick style border. Roll top free stand bath with mixer tap and chrome telephone shower attachment and claw feet. Burlington free stand wash basin and mixer tap and cast legs. There is also a walk in 1.3m shower with thermostatic Burlington shower with rainfall head and flexi track spray. Column radiator with chrome towel rail, extractor fan and LED lighting. With UPVC opaque double glazed opening window. This is a period style suite in white with a wall hung vanity basin, low level WC and oak effect seat. Slate floor tiles. 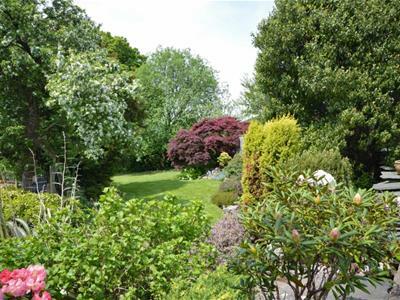 This is a delightful and mature garden with a lovely lawned area and gentle incline, with divisional stone wall to the adjacent fields. There are well planted borders with many species and including acer and shrubs. An appealing feature is the timber, circular Breeze House summerhouse with central table and bench seating and a side decked patio of a terrace style. Ideal for socialising and entertaining. 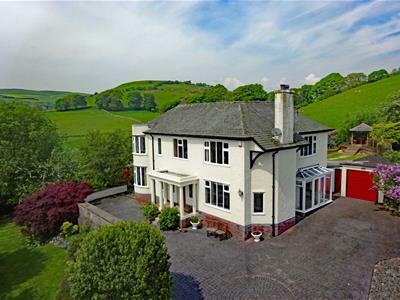 This is a magnificent 'Art Deco' period home with an unrivalled, slightly elevated position on the town outskirts with beautiful gardens and stunning views. Initial access is over the drive to the extensive, enclosed drive area of imprinted concrete and slate appearance, easy maintenance and ample parking. There is open pillared porch to the front and corner bay windows. 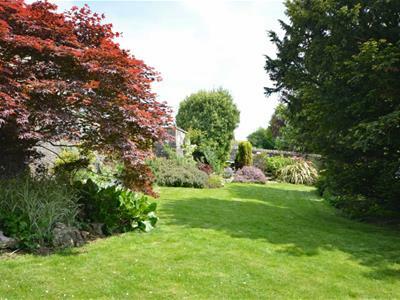 The front and side gardens are most private, well maintained and mature with borders and bushes/trees, garden beds, mature fruit trees and discreet paths. 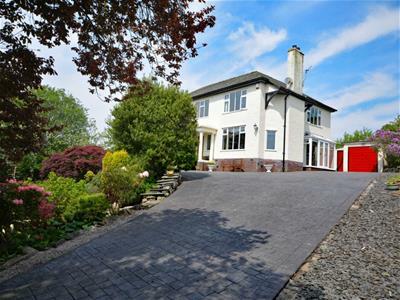 Side stone wall and a front terrace with ample recreation space for garden furniture. This is a brick detached garage with 'pillar box red' up over door, rear window, electric light and power. There is also a store/workshop of 15 7 with electric florescent light and power.